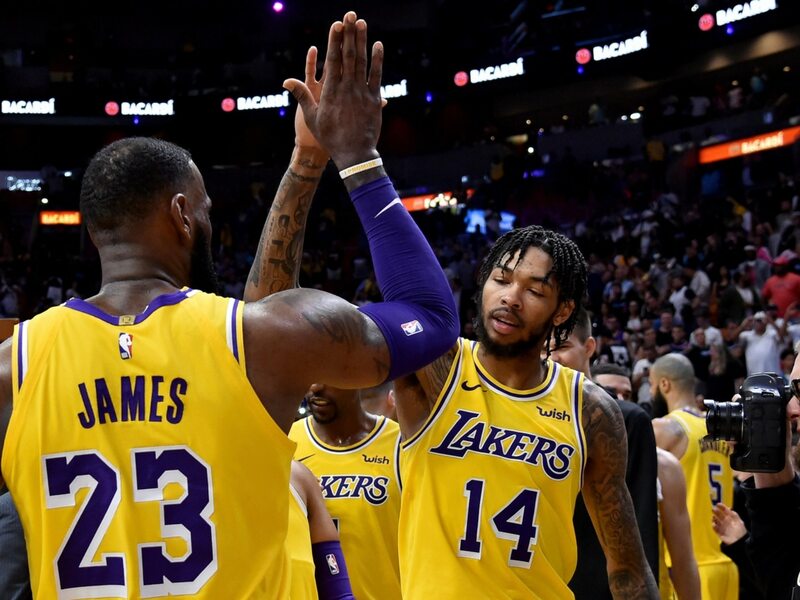 With the trade rumors in the rear-view mirror, Brandon Ingram and LeBron James connected for a pretty alley-oop on Thursday night. The two were on a fast break. LeBron fed Ingram, who drove to the hoop. When he was challenged by Boston Celtics big man Al Horford, Ingram flipped it back to LeBron, who finished the alley-oop with an emphatic dunk. Seeing plays like this, one wouldn’t know about all of the chemistry issues that these Los Angeles Lakers apparently have. This was executed quite well.